Where my employer fails to make monthly remittances for me what can I do? The enforcement task force of National Pension Commission has the responsibility of ensuring that defaulting employers are sanctioned. The Task force can be contacted directly or through the PFA. How do I monitor my RSA contributions? Clients can monitor their accounts, status of applications and initiate several requests via our various self-service platforms. Through our Mobile App and secure online platform; Accounts statements, Fund Performance and Contribution history can also be tracked. In addition, an SMS that indicates your balance will be sent to your phone whenever there is a transaction on your RSA. Leadway Pensure PFA also sends quarterly statements of account to you by email and through your mailing address. What happens to my RSA and contributions when I change employers? The RSA belongs to you and therefore a change in employer does not affect it as it is transferrable from one employer to another. For your pension remittance to continue, please inform your new employer of your pension details including your RSA number (PENCOM PIN), the name of your PFA and PFC details. It is very important that you inform the PFA whenever your details change to enable your records to be updated on our database. What happens to my contributions made under the Nigeria Social Insurance Trust Fund (NSITF)? The Pension Reform Act 2004 mandates that contributions made to NSITF should be transferred 5 years after the commencement of the new pension scheme, to your Pension Fund Administrator (PFA). To ensure the transfer of your NSITF contributions, you are required to submit through your PFA, a completed NSITF transfer application form, your original NSITF certificate and a means of identification. Where there is no original certificate; the member would provide the following alongside the application form to the PFA; a sworn court affidavit (if your certificate is missing) and a letter of indemnity/identification from your employer. How safe are my contributions? The scheme is a highly regulated one with checks and balances in place and clear cut investment portfolio options that are designed to ensure the safety of the funds. With a clear cut demarcation of the administration of the funds by the Pension Fund Administrator (PFA), the actual custody of the funds by the Pension Fund Custodian (PFC) and the regulation and supervision by the regulator, PENCOM, your contributions are very safe. Who is Leadway Pensure's primary PFC for the RSA Fund? What happens to my contributions if I travel outside the country? Your remittance continues if you have not reached retirement age. You could also continue to fund the account voluntarily, provided the foreign country’s pension regulator permits transfer of your contributions. How does the new pension scheme work? 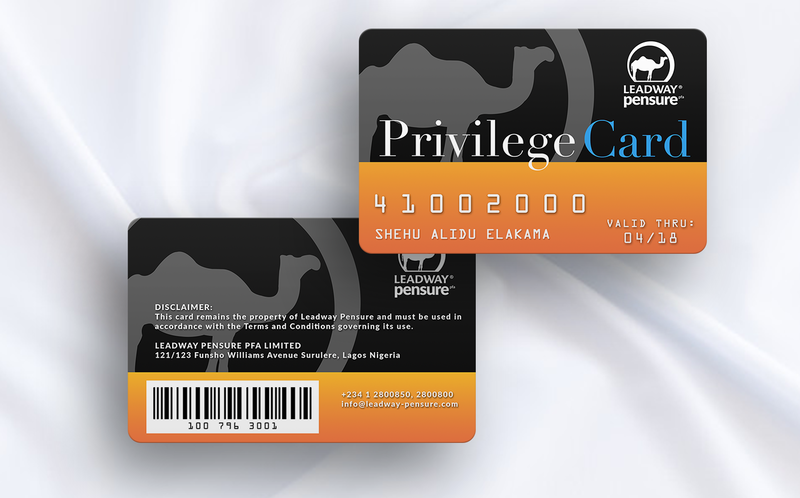 The scheme is a contributory pension scheme initiated by the Federal Government. The scheme requires the employer and employee to contribute a minimum total of 18% of the employee’s monthly emoluments to a Retirement Savings Account (RSA) to be managed by a private sector Pension Fund Administrator (PFA). The component of the emolument is basic salary, housing and transport allowances. This monthly contribution shall be remitted by the employer every month into the employee’s Retirement Savings Account specifically opened with the PFA for this purpose. What are the benefits of the scheme to workers? It ensures that the worker receives his or her benefits as and when due. In addition, it enables the employee to save and ensures a steady income during retirement. Strict regulations by National Pension Commission (PENCOM) guarantee the safety and security of the funds by PFAs and PFCs. Who is eligible to join the scheme? This scheme is mandatory for every person who works in either the Public Service of the Federation or Federal Capital Territory and Private Sector organizations with 5 or more employees as well as the informal sector. What are the contribution payments? The employee and the employer contribute a total of 18% of the employee’s monthly emoluments. (i.e. 10% employer and 8% employee, except for military personnel where the contribution rate is 12.5% and 2.5% respectively). The minimum that the employer can pay is 10%. The employer can undertake to pay a higher percentage or even the total 18%. Can I contribute more than the mandatory contribution to the PFA? Yes, you can. Contributions above the mandatory contributions are called Additional Voluntary contribution (AVC) and are deducted from source by employers. Is there a limit to my voluntary contribution? Yes, it must not be more than your salary and must be contributed via payroll. Would I be able to collect my voluntary contribution at any point in time? Yes you can, it would only be taxed if you collect it before 5 years. How do I pay my contribution? Your employer pays a percentage of your monthly emolument on your behalf to your chosen PFA. How much do i pay as administration processing fee? One hundred and five naira only (N=105.00) inclusive of 5% VAT. What do you mean by preferred mode of Payment? A programmed monthly or quarterly pension benefits withdrawal/payment. Does the scheme allow a retiree to withdraw the balance of the RSA at once? No! A lump sum from the balance of the retirement savings account may be withdrawn, provided the amount remaining after the lump sum withdrawal shall be sufficient to procure an annuity or fund programmed withdrawals. How else can I access my benefits from the scheme apart from going through the Programmed Withdrawal? A purchase of annuity for life through a licensed life insurance company with monthly or quarterly payments. What are the benefits of the scheme to retirees? It ensures that the retiree receives his or her benefits as and when due. In addition, it enables the retiree to have a steady income during retirement. At what time is the fund beneficial to me? It is beneficial to the employee when he or she gets to the age of 50 years or retires (whichever is later) or in case of physical disabilities or prolonged unemployment. What happens to the Pension fund or RSA upon death? The beneficiary (ies) of the employee as stated in a Will (or letter of administration in the absence of a Will) admitted to Probate, becomes the beneficiary (ies) of the benefits in the RSA. Can I borrow from the balance in my RSA? No! The Pension Reform Act specifically prohibits this. What is going to happen to previous contributions to NSITF? Funds contributed by any person to the NSITF shall be computed and credited to the Retirement Savings Account of the contributor in his present PFA five years from commencement of the scheme. How do I know what returns are made on my Retirement Savings Account? These are provided in quarterly statements and can be calculated by the growth in the unit price over the period. Are PFAs going to handle the administration of retirement benefit differently? The National Pension Commission has established a uniform set of rules and regulations for the administration and payment of retirement benefits in both the public and private sectors. The PFAs in New Pension Scheme do not pay Gratuity, however the retiree is entitle to a Lump sum payment, from the balance standing to the credit of his retirement savings account at retirement. What percentage of my RSA can I withdraw as lump sum at retirement? A retiree is entitled to the statutory 25% of the RSA balance as a lump sum but however, a retiree may also be able to withdraw up to 50% provided the amount remaining after the lump sum withdrawal shall be sufficient to pay his or her pension i.e. procure an annuity or fund programmed withdrawal. What day of the month is my Pension Payment Due? Your monthly Pension payment is due on 24th of every month. How do I follow-up on the Status of My Retirement Saving Account at Retirement? A retiree must be issued a quarterly statement of account. The retiree can also access information on the retirement savings account via the internet or contact the Pension fund administrator for, update at any given period within the expected due date for a statement of account. What happens to the balance standing to the retirement savings account at death? The balance on the retirement savings account and the interest accrued shall be paid en bloc to the beneficiary(ies) of the deceased retiree, as represented in the Will or Letter of Administration. Can I change my Next of Kin at retirement? Can I receive my monthly pension payment by cheque directly? No. Your bank account as designated by your good-self shall be credited by the Pension Fund Custodian on a monthly basis. Why is my monthly Pension delayed? A retiree must be issued a quarterly statement of account. The retiree can also access information on the retirement savings account via the internet or contact the Pension fund administrator for update at any given period within the expected due date for a statement of account. I don’t receive the quarterly statement of account? Change of contact/postal address, without informing us, leads to undelivered statement of account. Why did I not get 50% of my RSA balance at retirement, like some of my colleagues did? The computation of the lump sum and periodic pension (monthly or quarterly) is based on a standard programmed withdrawal template issued by the commission. The variables that determine the minimum and maximum lump sum includes retirement savings account (RSA) balance; last annual total emolument; age at retirement; amongst other variables. What happens to the interest on my RSA? The interest accrued upon investment as guaranteed, is added to the balance of the RSA and shown on the statement of account of every retiree. Why is there a need for a Will, since we have already filled a beneficiary election form with LPPFA? The National Pension Commission has made it mandatory that, only the Will or a letter of Administration, on benefit payment on the RSA; can give access to the deceased beneficiary(ies). No! The Pension Reform Act 2004 specifically prohibits this. What is the Multi-fund structure? The Multi-fund structure is a framework designed to align the retirement savings of contributors to their risk appetite by maintaining four Funds with distinctly different tolerance for risk. The aggressive fund (Fund I) would have a much higher allocation to variable income instrument than Fund II. Similarly, Fund II’s allocation will be higher than Fund III’s allocation. Fund IV, the retiree Fund will have the lowest allocation to variable income securities. What are Variable Income Instruments? A variable income Instrument refers to an investment whose terminal return profile is not predetermined at the start of such an investment. Such an investment provides contributors a rate of return that is dynamic and determined by market forces, thus greater risks as well as rewards. The PENCOM framework defined Variable income instruments as the sum of a PFA’s investments in Ordinary Shares; Real Estate Investment Trust; Infrastructure Funds; and Private Equity Funds. Is the Multi-fund structure optional for PFAs? The multi-fund structure is not optional. All PFAs will offer the Multi-fund Structure for their RSA Fund. Nonetheless, there is a transition period of 6 months, effective from the commencement date for all PFAs to stream-line their respective portfolios. How does the Multi-fund structure differ from the old structure? The old structure invested the funds of all RSA contributors with the same investment criteria regardless of risk appetite and age. The multi-fund structure seeks to align contributor’s investments with their age profile and risk appetite. How do I know which Fund is suitable for me? Fund I is an aggressive Fund and it is targeted at contributors with a high risk appetite. It is also suitable for young contributors who have a long time before they retire. The long duration ensures that the contributors have enough time to realize potential gains and recover from potential losses that may occur in variable income instruments. Contributors in this Fund must be younger than 50 years old. Fund II is a balanced Fund and it is suitable for middle aged contributors and those with a medium risk appetite. It is designed to be less risky when compared to Fund I. All Contributors, other than those who are retired may find Fund II suitable. Fund III is a conservative Fund and it is designed for contributors close to retirement and contributors with a low risk appetite. It is ideally suited to contributors between the ages of 50 and 60 years. However, younger contributors may participate in this Fund. When is the commencement date of the Multi-fund structure? The Pension commission (PENCOM) will provide the operational framework for the implementation soon, and then the multi-fund structure will commence. There is a transition period of 6 months from the commencement date for all PFAs to streamline their respective portfolios. Do I need to choose a Fund today? You do not need to choose a Fund immediately. 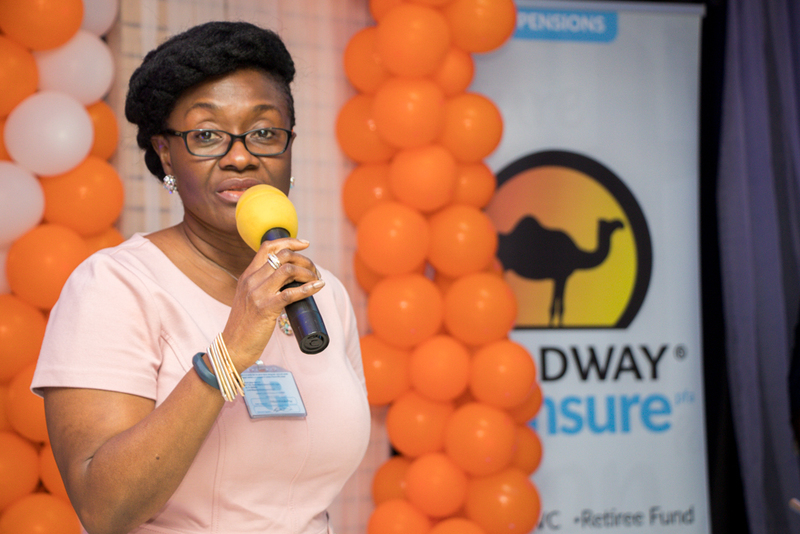 Leadway Pensure will allocate contributors to either Fund II or Fund III based on their age at the time of implementation. Active Contributors who are below 50 years old will be assigned to Fund II and Active Contributors who are 50 years and above will be assigned to Fund III. 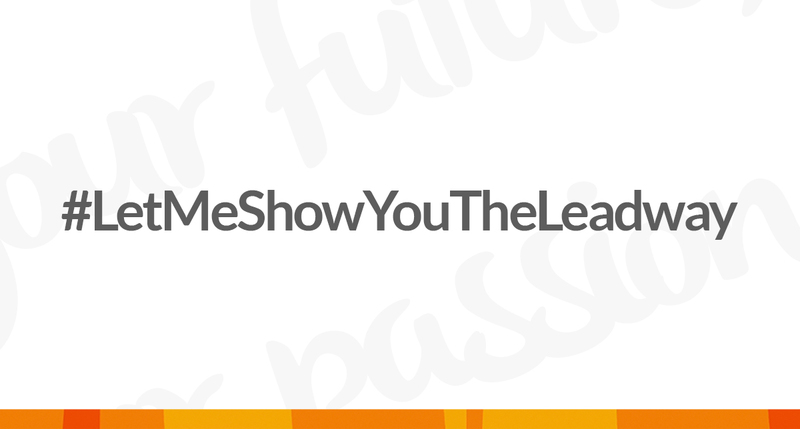 However, contributors who wish to be in Fund I or Fund II must make a formal request to Leadway Pensure. Can I switch to any fund of my choice? A Retirement Savings Account (“RSA”) contributor under the age of 50 may switch between Fund III, II and I by simply making a formal request to Leadway Pensure. An RSA contributor who is 50 years and above may switch between Fund III and Fund II only. Such a contributor will not be allowed to choose Fund I. How often can I switch between Fund types? Once a formal application has been made to Leadway Pensure, an active Contributor may switch from one Fund Type to another Fund Type once in 12 months without paying any fees. However, further requests for switches will attract a fee which will be determined by the Pension Commission. Will I be able to move back to the default fund? Yes. Contributors can switch between funds as long as the age limits are not breached. However, switches more than once in 12 months will attract a fee. How do I benefit from the new structure? The multi-Fund structure allows Leadway Pensure better serve its contributors by building portfolios that closely reflect their risk appetite. This implies that contributors with a large risk appetite are compensated for taking more risk whilst contributors with a low risk appetite are appropriately compensated. The new structure also recognizes that a contributor’s risk appetite may change over time due to a myriad of factors, thus the flexibility to switch from one fund to the other is an added advantage. Can I opt to be in separate funds for RSA and my AVC? All contributions whether mandatory and voluntary must be under the same fund type. Will LPPFA provide financial advice before making a decision to switch? Our relationship managers are trained to provide guidance. We will also make information on the performance of each fund available on our website and by email to enable contributors stay updated and make informed decisions. Subscribe and receive the Leading digest monthly!